Lugansk Regional State Administration posted new report on the situation in the area. Pro-Russian militants violated cease-fire 15 times using 82 mm mortars, grenade launchers, machine guns and small firearms. Below is the report posted at Facebook page of Lugansk Regional State Administration today. ATO news: the situation in Popasna direction got worse. In the last 24 hours Russian-occupational troops increased military activity and violated cease-fire 15 times. Occupants shelled Novooleksandrivka and Novozvanivka 11 times using 82 mm mortars, grenade launchers of different types, high caliber machine guns and other small firearms weapon. 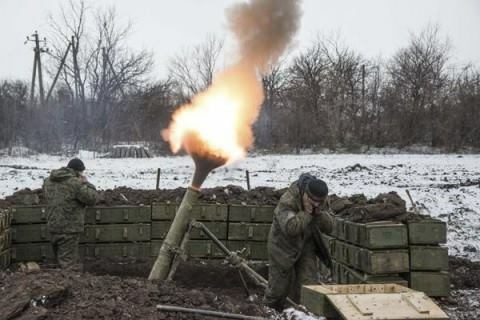 Also cease-fire violations were registered yesterday near Tryokhizbenka and Krymske villages of Novoaidarsk Rayon, and near Zolote town and Troitske village of Popasna Rayon, the enemy used different types of small firearms there.